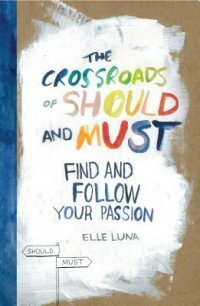 "It was her own personal journey that inspired Elle Luna to write a brief online manifesto that, in a few short months, has touched hundreds of thousands of people who've read it or heard Elle speak on the topic. Now Ms. Luna expands her ideas into [a] ... gift book for every recent graduate, every artist, every seeker, every career changer"--Amazon.com. Description: xi, 161 pages : illustrations (chiefly color) ; 24 cm.